Two-thirds of BC’s land base – 60 million hectares – is covered in trees. Only about 22 million hectares of this vast forest was ever suitable for logging, and much of this has already been logged. These logged forests once harboured the biggest trees and the best wildlife habitat in BC. Now, big stumps mark where the great giants once stood tall. Plantations, where second-growth trees were planted after the original wild forest was logged, are now growing throughout much of BC. Some areas are being logged for the second time. Fortunately, some wild, never-logged forests still remain. Known by many names – including old-growth, natural, frontier, ancient, first growth or original – these forests were tended by nature, not people. In British Columbia, a debate is now raging about what to do with these precious remaining wild forests. Globally, only a little over 20% of the world’s original wild forests still exist. 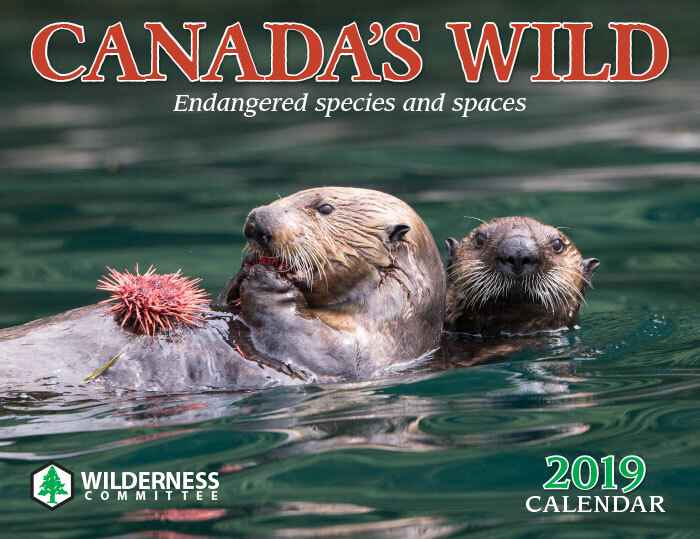 British Columbia is Canada’s most biologically diverse province and has the most species at risk of extinction. In BC, 64% of reptiles and turtles, 58% of ferns, 46% of (dicot) plants and 45% of amphibians are currently at risk. BC is home to about half of Canada’s total grizzly bear population, and to more bird species than any other province in the country, with over 500 bird species including more than 300 breeding species. The sad fact is that over 1,900 species found in BC are “at risk”, and in many instances, it's because of the continued logging of their wild forest habitat. To make matters worse, climate change has also impacted our forests. More than 9 million hectares of forest lands, mostly on BC’s central plateau, have been hit by the pine beetle epidemic and other pests due to warming winters and forest mismanagement. Near the rain-drenched Pacific coast of BC, unlogged valley bottoms are home to giant rainforest trees such as Sitka spruce and Douglas-fir that can sometimes reach over 80 metres in height. Red cedar trees can be as much as 18 metres in girth, and live well over 1,000 years. Unfortunately, on Vancouver Island, over 90% of these valley bottom ancient forests have already been logged. The dry rainshadow wild forests of Ponderosa pine in the south Okanagan are some of the rarest wild forests in BC. Yet less than 5% of this forest type has any kind of protection from logging or development. Then there are the wet Inland Rainforests of spruce, hemlock and huge red cedars in the Robson Valley and Kootenay country, which support the mountain caribou – an endangered species that rely on these forests for survival. Even here, some of these critical wild forests continue to be open to logging. You would think that with all this logging going on, timber workers and their communities would be prospering. But nothing could be further from the truth. That’s because since 2003 the big logging companies in BC, who used to be obligated by the provincial government to operate lumber mills within the province, are now no longer required to do so. Raw log exports from public and private forestlands in coastal BC have been going up – way up. Between 2000 and 2007, annual log exports to mills in other countries have risen by 75%! This increase amounted to 57,714 highway truckloads of logs, enough wood to keep two sizeable BC sawmills supplied for a whole year. It’s time to take action to ban the logging of wild forests and ban log exports, so logs from the tree plantations can be milled right here in BC.